H.S.H. Prince Michael von und zu Liechtenstein is a resident of the Principality of Liechtenstein. He studied economics and business administration at the Wirtschaftsuniversität Wien and received there his Master Degree in Business Administration (MBA). His studies included also various practical training periods and work with banks and manufacturing companies in the US, Canada and Belgium (Brussels). From 1978 to 1987 Prince Michael has been working with Nestlé in Europe and Africa in controlling, financial management, general marketing management. Since 1987 he is Chairman of Industrie- und Finanzkontor Ets., an independent, international trust company based in Vaduz with a long-standing tradition and expertise in Wealth Preservation. 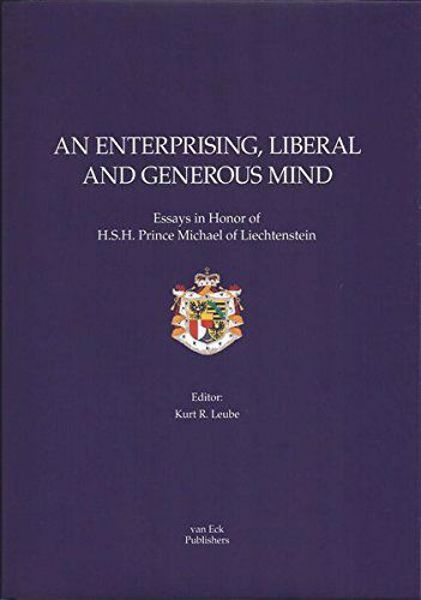 Prince Michael is also the founding President of ECAEF, the European Center of Austrian Economics Foundation, a leading think tank based in the Principality. In 2011 Prince Michael founded Geopolitical Intelligence Services (GIS), a geopolitical consulting and intelligence services company. He serves as its chairman. Prince Michael is an internationally renowned speaker and author, predominantly concerned with issues of liberal societies, the role of states and politics, wealth preservation, geopolitical trends and their decisive background information.